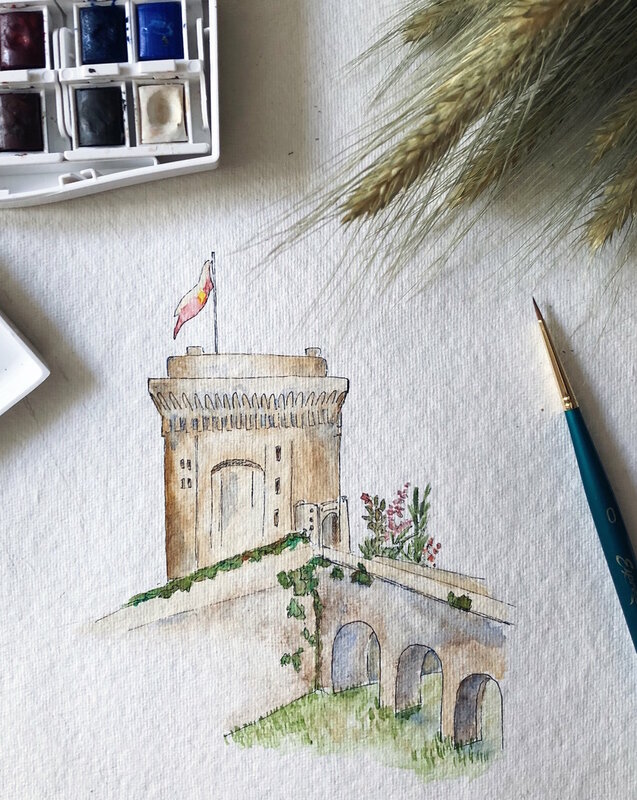 The first thing I painted was the 14th-Century chateau, one night after we had explored it with our friend Tonia. We’d set out early that morning with a backpack stuffed with chopped vegetables, bananas, baguettes and the homemade koulourakia we’d baked the day before from a Meals in the Mail recipe, to walk the ramparts all the way around town. At the chateau we stopped to catch our breath and polish off our little lunch, sitting on the ancient stone wall amid glorious pink and red flowers, before buying four tickets at the gate and heading inside to explore. The chateau is formally known as “donjon de la duchesse Anne,” or “the keep of Duchess Anne,” a woman beloved as a ruler and protector of Brittany from 1488 until her death, as well as being Queen Consort of France (twice). Today, her keep is almost empty: no roped-off antiques or baltic pine replicas here, just empty rooms with carved shutters half-closed over diamond-paned windows. It made space for the ghosts, and we could almost feel the past walking among us in those empty rooms. We climbed the narrow spiral-stone staircase up, up, wandering the rooms where once the Duchess Anne ate, conversed and slept, until we emerged to blinding sun and gusting winds on the roof. Then we headed down. Down, down, into the smoke-stained ‘dungeon’ of a kitchen, where there were no windows and Tonia and I had to use our iPhones as torches so that we could all make it down the final flight of stairs without breaking any limbs. At various levels (especially in the guards’ rooms), medieval toilets were cut into the stone and, from the smell, were still occasionally in use. We only just - with seconds to spare - managed to stop four-year-old Ralph from doing the same, and the laughter from our little party at this lucky escape carried us all the way back to our still-new (to us) apartment. So later that night, when the children were sleeping the deserved sleep of the utterly exhausted and Tonia and I sat up eating cheese and drinking rosé, I drew the chateau on the blank paper of my future map, and wrote our little story down next to it. Painting at night after each adventure, there wasn’t any strategy or forethought to the map, and this made for lots of mistakes. I painted the Thursday markets one evening after carrying home the week’s bounty, and, a few days later, drew in the clock tower behind it after we had climbed to the top. Then a month or two further along, when I decided I needed to paint in the grand old buildings that lined the market square, the clock tower was already in the way. In my painting it has grown legs and journeyed a full block away from the rue de l’horloge, where it stood since 1498. I drew Sarah the dog before adding in the buildings around her, and it turned out she was not even remotely to scale. I had accidentally turned her into a canine giant, eclipsed only by the baguettes, which are the size of some houses. Saint Malo was on a wonky slope, the abbey at Lehon slid over onto the very bottom of the paper, and a strange, ibex-like creature on the carousel loomed over everything else. The mistakes have come to be my favourite parts of this map. I could have waited, of course, collecting these moments in my mind to faithfully reproduce them back home. Carefully copying or tracing a roadmap of Dinan, and then plotting out our favourite memories with both accuracy and artistic arrangement. In fact, that was my original intention in making the map. After taking multiple wrong turns when trying to follow the map of the ramparts given to us by the Dinan tourism office, Tonia and I joked that I’d paint a more accurate one, and give it to them when we left. But the best adventures are unplanned and precious moments come unbidden. And if you don’t stop to notice them when they happen, those moments can journey on by, altogether unseen. So I chose mindfulness over method, thankfulness over design, and pasted my little acts of gratitude like patchwork all over the paper, living each drawing in the moment without pausing to plan the final piece. When we left the village in December, I didn’t know what to do with the map. The handmade paper was so thick and large it couldn’t fit into a tube, so I carried it with me from Dinan to Paris, Paris to London, London to Cumbria, Cumbria to Inverness, Inverness to Edinburgh, and Edinburgh to Melbourne, Australia. After we returned home, it lay rolled up and forgotten on the sofa-bed in our front room for a month, buried under clothes awaiting dry-cleaning, until finally in mid-February I uncovered it and found the time - and emotional fortitude - to finish what I had started on that hot summer’s day at the chateau, back in August. So here it is, in all its wonky, unplanned, mistake-ridden, navigationally-bereft, emotionally-rich glory. The story-map of our sabbatical in France, and a pen-and-paint act of thanksgiving. The truth is that I have never felt confident enough to ‘teach’ painting, because in order to teach something it helps if you actually know what you are doing yourself! I am completely self-taught when it comes to my illustrations, and by “self taught” I mean I just keep painting, experimenting and practising… I haven’t read any books or watched any YouTube videos to improve my techniques. But in the meantime, rather than teach you how to paint in any strict, best-practise or rules-based way, I am going to share some of the tips, tricks, hacks and techniques that I have stumbled across so far on my illustration journey. Because I’ve never received proper training, it is highly possible that the things I share are not the best way to do things, or that I’m simply “not doing it right.” And I think it’s important that we all seek ways to feel comfortable with this, when it comes to our own creative work. “Not doing it right” is why I’ve held back on sharing too much in terms of how-to-paint content in the past (fear that I’m not doing it right, and fear that I’d therefore be teaching you to ALSO not do it right). But now I’m thinking differently, and I’m going to call myself out on this defeatist attitude. Really, it’s just another form of “imposter syndrome,” the feeling most of us experience sometimes (or often) - especially when it comes to creativity - that we are not good enough, even when others appreciate our creations - and that any minute, the world will see us for the failures we secretly believe we really are. Why do our brains do this to us?? 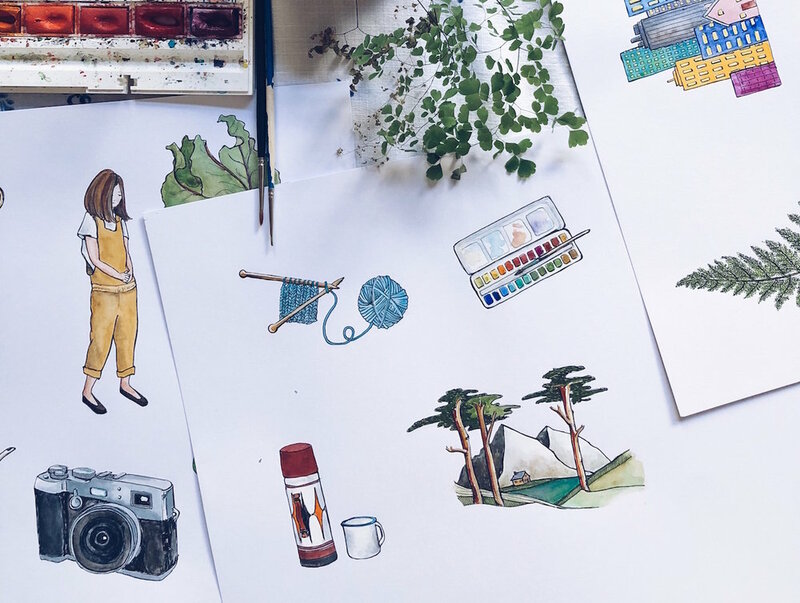 This blog is not the place to explore the depths of human psychology (although I do talk a lot about imposter syndrome and the Inner Critic in my Create with Confidence course), but today I will stand up to my own Inner Critic and hopefully bolster you to stand up to your own, by sharing my perfectly-imperfect tips for watercolour painting. My hope? That you will a) find some tips in here that are useful, but b) even if nothing here is useful, that you will feel empowered to experiment, play and create, without the constraints of “doing it right.” Just go for it! Ok, shall we get started? 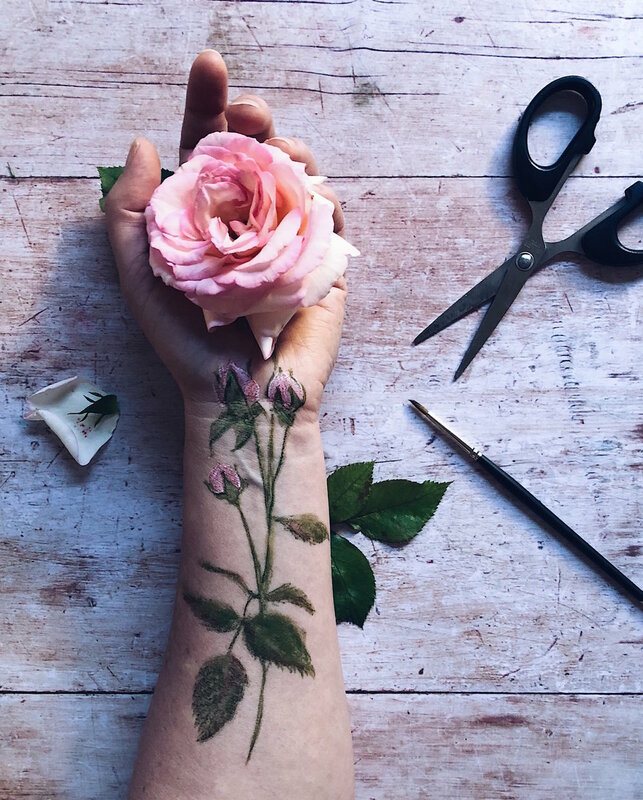 You know those Instagram and YouTube videos in which people deftly put wet brushes to clean, white paper and in a matter of minutes create beautiful floral wreaths or sleepy cats on cosy couches, or potted succulents in greenhouses full of charm? Yep, I can’t do that either. I sketch my picture out using pencil first (2B because anything darker becomes harder to rub out later), then use waterproof black pens (my preferred brand is Sakura Pigma Micron) to draw it exactly the way I want it to look. Depending on what I’m wanting for the finished product, I add in more or less pen detail, and when that’s done, I rub out the pencil marks. By the time I come to do the painting, it’s really not much more than colouring in. My father always used to tell me “It’s a poor workman who blames his tools,” and this is as true in the art-room as it is in the workshop, garden or kitchen. To whit: great tools can make life a lot easier, but they are no substitute for elbow-grease and practise. For many years, I used sets of watercolours and gouache paints picked up in a toy-store and supermarket respectively. From time to time I still dip into my kids’ Crayola paints, and have used them for all kinds of projects, including illustrations I’ve been paid to create. Until two years ago, I was still using the used gouache paint set my grandmother gave me when I was 10 years old. Even now, my “best” paints are really hobby-grade paints (I have Winsor & Newton watercolours in a set and Reeves gouache in tubes). I’m sure an upgrade would be a good thing, but I haven’t made the plunge so far and, if you’re starting out and don’t have the means or desire to invest just yet, don’t let that stop you: some decent brushes (my favourites are 'Expression' brushes by Daller-Rowney) and a good feel for colour-blending are all you need to create lovely paintings. Alright, most of us know that there are only three primary colours (colours you can’t mix from others): red, yellow and blue. With the help of black and white, you can realistically create all the colours, shades and tones you need with just these basics. Next, I add my second colour to the palette - nearby but not touching the first - in the same way. And so on for any subsequent colours. So for example if I was making purple, I’d do this with blue and red. Now I’ll bring a tiny bit of one colour into the middle, and a tiny bit of the other colour into the middle, and mix them together. Based on what that looks like, I’ll add little bits more of one or the other colour, until it looks right. At this point if necessary, I might bring in some other tones, for example a bit of yellow to give it warmth, or white to brighten it up, or a tiny bit of black to tone it down. The trick is to do all of this gradually, one small bit of colour at a time, so that you can rectify any mistakes or any time you’ve overdone it with one colour, and build up slowly until you get exactly the shade you want. If necessary, I test my blends on a scrap piece of paper, just to see how they look once they dry, and also to test how much water to add, to create the look I’m going for. Once I’m happy, I use this new colour on my painting. If I find I’m running out, I start the process all over again but make sure to do it before the original blend has run out, so that I can match the shade as closely as possible so that my painting remains consistent. While travelling for five months I had only the smallest of travel-paint sets, so I had to do a lot more blending to get the colours I like, than I do at home. I am drawn to a muted colour palette with soft, natural tones. But my little travel paint-kit was full of bright and primary colours. Here are some of my personal thoughts on colour, and some of my favourite combinations to achieve the tones I love. TOP ROW: The “sort-of black” here is achieved by blending dark blue and dark brown together. If I want a warmer black I add more brown, if I want it cooler I add more blue. Because it’s not “true black,” it looks more natural on the page. THIRD ROW: I paint a lot of botanicals, but find the ready-made greens are often unnatural. Also, there are just so many shades of green in nature, just one or two won’t cut it. Depending on what I have to hand, I most often mix a lighter green with a darker green, and then play with adding either light brown, yellow, or the sand I created in the second row above, to get the right tone for the leaf I’m painting. FOURTH ROW: I’m not a fan of “candy pink” but I love a duskier pink in everything from flowers to sunsets to balls of knitting and an old lady’s hat. I get this by blending the dark red in my paint set with a kind of fire-engine red/orange also in the set, and then adding white until I get the exact depth I want. BOTTOM ROW: The dove blue/grey here is one of my favourite colours, and I get it by mixing royal blue (as opposed to the dark blue of the top row) with dark brown, and white. It is a much prettier and more natural sky than just watered-down blue, and by adding a tiny bit more brown I can turn it into a lovely, soft grey, that is nice for animal fur, for example, or to add shading and texture to the bark of trees. (NOT PICTURED BUT HANDY): Purple is quite difficult to make. Most of us know to blend blue with red, but too much red and you quickly get brown instead. I try going lighter first: I’d probably blend the dusky-pink and dove-blue colours in the bottom two rows together, to create a soft kind of lilac, then I’d add more of any of the colours in those two rows bit by bit, in order to get the exact tone I wanted. For me, this is easier than starting from scratch with just red and blue. One of the easiest ways to bring a painting to life is to add shading. This not only makes whatever you’re painting look more three dimensional, it also adds interest and texture to what you have created. Imagine a painting of a cactus in a terra-cotta pot. You could simply paint the pot a terra-cotta kind of orange, OR you could create shading to help it look round, rough-to-touch, and give it that lovely aged patina that real terra-cotta gets. The most important thing is to imagine a consistent light-source. Imagine shining a spotlight on whatever it is you are painting, or imagine which way the sun is shining or where the window is. Keep that light-source consistent in your entire pattern. It will do all kinds of weird things to people’s brains if the shadows on one part of your picture are on the left, and in the other part they are on the right. Light doesn’t do that (unless you’re a surrealist painter). If the light is coming from the right, everything on the right-hand side of your picture (from terra-cotta pots to trees to animals to a bottle of wine) will be lighter and brighter on the right, and darker on the left. If the light is shining straight in front of your thing (like your terra-cotta pot), then it will be lighter and brighter in the middle, and get darker on either side. If the light is coming from directly above, the leaves at the top of your plant will probably be lighter than those at the bottom. e) By painting the object one colour, and then “blotting away” the part I imagine to be in the sun, by pressing a paper-towel down over that part. Pressing the paper towel down immediately will remove all the colour. Instead, I like to wait a short while (a minute or thereabouts) and then press - that will take away some of the intense colour, but leave a softer version. What ever technique you use to create shadows, if you want to have a soft or even invisible transition between the light and shade sections, a good tip is to take a clean, wet paintbrush and gently brush water over those “transition lines.” I don’t always bother with this because sometimes I like things to look a bit more rough and deliberate, but you can create a very natural, organic transition from light to shade if you want to, just using water in this way. (As in, the weight of the paper, not the old-fashioned paperweight that your grandfather kept on his desk). Obviously, you can experiment to see what works for you. I have used copy paper plenty of times in my mail-art, and just flatten it down under books overnight if it buckles too much. But if you pop into an art supplies store and ask to buy watercolour paper, it can be a little overwhelming. There’s weight, there’s texture, and there’s all those different methods of making the paper itself. How do you choose? Confession: I never do this. I mean never. I have never even tried it. However… best practise is probably to stretch and then tape down watercolour paper, to ensure you have a perfectly flat surface, and that the paper doesn’t buckle with all the water you apply. Perhaps if I painted more landscape-style images with big wash areas, I’d have felt the need to learn how to prepare my paper sooner, and have cultivated this good habit. Because my illustrations are mostly quite small, it hasn’t been an issue (so far). If you want to learn how to prepare your paper (or want to teach me), here’s a tutorial. Here is a short video in which I use a paper towel to create light and shade in my picture, let the paint partially dry (while I sip tea, naturally), then create a new layer in a different colour. I hope this blog post was useful! I feel a little bit silly and vulnerable writing about “how to” on something I really do just muddle through, and feel about as far from being an expert as you can possibly imagine. This lack of training probably makes me a fairly poor instructor: if there was something you were wanting to know from me about how I do my painting, but I’ve failed to mention it here, feel free to ask away. Likewise, if this actually is useful to you and you’d like to know more (such as some tips on drawing, for example, which in all honesty would be equally bumbled-through), let me know and I’ll see what I can come up with. But no matter what, I DO hope this long post inspires you to pick up that dusty old paint-set (yes, the one you picked up for your kids at the supermarket) and wile away an afternoon playing with colour. I thought it was about time I answered the questions I receive the most, somewhere that they could all be found in one place. Have I missed something you’d like to know? Feel free to ask away in the comments, and I promise to reply. How do you get watercolours to show up brightly on brown kraft paper? The secret is they’re not just watercolours. I also use gouache paints, which look and feel pretty much the same, but are chalkier in consistency, and brighter and more opaque on the paper. Back in the old days, poster artists often worked in gouache. I mix my gouache and watercolour paints together within my images (and often combine them with one another to create the exact colour and consistency I want). What pens do you use in your artwork? I use fine-line archival ink pens for outlines and details in my paintings, and to write the addresses in my mail-art. The ink is waterproof, so it doesn’t run with the paints. My favourites are these Sakura Pigma Micron pens, and I have a collection of nib sizes that range from 005 (very fine for detailed work) to 05 (thick and bold, good for addresses). Where can I find likeminded pen-pals? There are loads of places to find people to write to. Pen-pal groups, yes, but also other projects and programs through which you can brighten someone’s day with a handwritten letter. I shared a list of some of my ideas for the show notes of this podcast episode with Tea & Tattle (scroll to the bottom of the show notes to find the list). 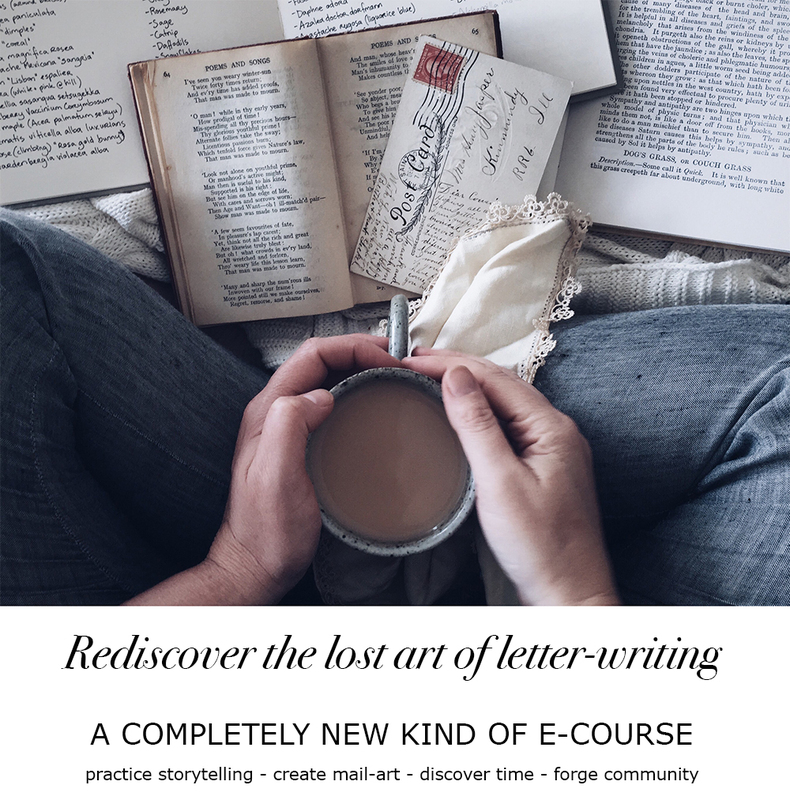 I also teach about finding like-minded people to write to (and people who will write back) in my letter-writing e-course. What camera do you use on your blog and Instagram? To be honest, 99 percent of my photographs these days are taken using my iPhone. I have a DSLR Olympus PEN camera that I love, and it definitely takes better pictures, but the reality is that I can’t always carry it with me everywhere I go. The iPhone lets me capture small surprises and spontaneous moments in my day, no matter where I am. Whats happening with the Meals in the Mail project? Ahhh, that project. Meals in the Mail remains one of the favourite projects I’ve ever run. Here’s where it’s at: at the start, I promised to turn all the recipes into a book, but I received more than 250 letters (after expecting 20-50). 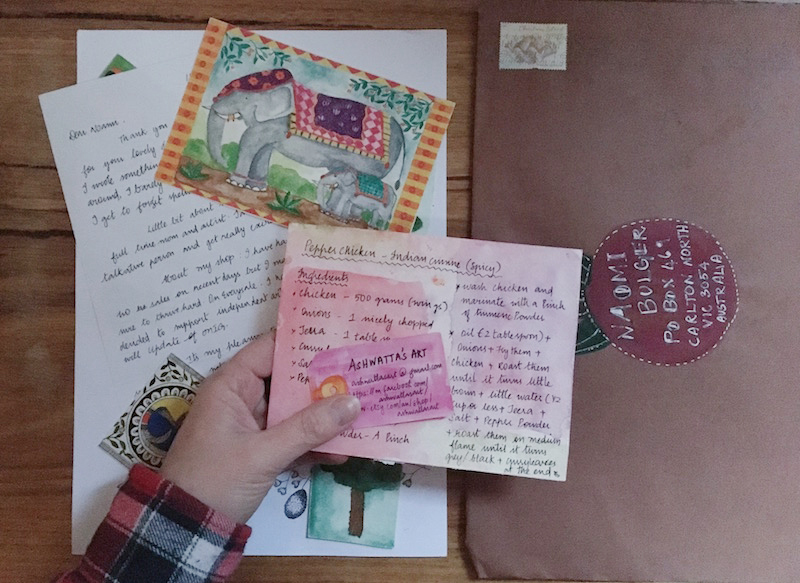 To share the recipes, mail-art and stories in this way would make for a book that was around 750 pages long, which would be as unwieldy and impractical as it would be impossibly expensive, so I had to rethink. I dabbled with the idea of giving the project its own blog instead, but that felt flat to me, and didn’t do these wonderful letters justice. So right now I am in the midst of making the recipes myself, one at a time, and talking to the makers about their food and the stories that make them special, for a podcast project. I can’t wait to share when it’s ready. When will your snail-mail book come out? Soon! The copy is finished and edited, the cover is done, and the design is in place. I am finalising some extra illustrations needed, and then it’s off to print. More about this book here. How do you find the time for all your creative projects? I could be glib and say there’s never enough time, and that’s certainly true to an extent. I’m definitely not as productive as I’d like to be (case in point the snail-mail book above, which has been in progress for more than four years!). But I do have some tips for finding or making time to be creative, or maximising the little bit of time we have. I’ve put them all into a little e-book called “Time to Make,” which you can download for free when you subscribe to my newsletter (which you can do here). How can I do more with my creative ideas / start selling my creative work? I teach all of my knowledge on the personal aspects of creativity (creative block, perfectionism, confidence, time, those sorts of things) in my hybrid coaching and e-course, Create With Confidence which runs once a year. For people who want help going public to share or sell their creative work I have a self-paced course called the Sales & Social Masterclass for Makers, which you can join at any time. I also share tips for free in my newsletter, and am happy to answer your questions via email. Why and how did you come to spend so much time in France? Think of that self-imposed sabbatical as me cashing in my ‘holiday savings’ after seven years of not stopping. The idea was my husband’s, after he knew he’d be heading to Italy for work in 2018, and thought that if the children and I were nearby we could all meet up. We chose to stay in Brittany in France because that’s my family background on my father’s side, and we wanted the children to learn a little of the language and culture that was part of their heritage. At ages four and six, with Scout only in her first year of school, it was an ideal time to travel, before missing so much school became a problem. I am lucky that I work from home, so I didn’t need to take leave from any bosses. I worked ridiculous hours in the lead-up to the trip, which in retrospect wasn’t the healthiest of ways to save money (ever heard of just “not spending,” Naomi?) but even so, we will be probably be paying off the debts incurred during this time for quite a while. That’s it from me for now. As I said, please feel free to ask me anything I haven’t covered yet here. Or (better still), tell me about you! What do you love, make, do, feel? This is when I do my best work. In the pre-dawn, while most of the world sleeps. I'm not a masochist, nor a particularly motivated person. It's just that I'm a morning person so I wake early naturally, and of course it makes sense to get as much work done as I can while the children sleep. My brain is rested, and rejuvenated, and I can do my best work at this time. I wrote my book The Art of Mail almost entirely between the hours of five and six in the morning. I write most of my blog posts at five, and that's when I research and craft most of my courses. "I want to be more creative but I don't have enough time." A lot of them felt super frustrated with the popular 'wisdom' that is often spouted about finding time: "If you want it badly enough, you'll make the time." They felt disempowered by this statement and, personally, I think it is cruel. It's one thing expecting people to take responsibility for their own lives - which we all should! - but it is way too simplistic to say "You don't want it badly enough" to someone who struggles to make time for the things that give them joy. I have a job, and that takes time. I am trying to build a business, and that takes even more time. I have a husband and two small children. They take a LOT of time. My husband works 80+ hours a week so I essentially run our house on its own. That takes a good whack of time too. I don't have a car, so even getting from A to B if I need to do something like buy milk takes more time out of my day than it otherwise might. This list could go on, as I'm sure yours could too. And it's not as though I could drop any of those other responsibilities, even if I wanted to (I generally don't want to). I need to work because my family relies on my income. I need to look after my children because my husband is at work and, while they have school and childcare on some days, they also need their parents! I need to cook and clean and otherwise run the house because if I didn't, we'd be living in a pile of rubbish comprised of dirty clothes, lego pieces, dust bunnies and food scraps, while eating takeout for every meal. But where in my busy life - or in yours - is the room for creating? For making just for the sake of making? For learning something new? For playing with art? For self-improvement? Right now I'm working on a short course made specifically for all those lovely people who responded to my survey, about how to find (or make) time to be creative. It is about guilt-free ways we can use more of our time for the things that spark joy, and train our brains to be more creative, without feeling as though we need to drop our responsibilities or small pleasures. That will come very soon (if you happen to be awake at 5am Melbourne time on most days, you'll be able to picture me sitting at my desk with a hot cup of tea, writing it). In the meantime, today I thought I'd share something else that several people in the survey asked for: an idea of what a typical day looks like for me. How do I divide up my time, they wanted to know, to fit in all those things. The short answer is, of course, that I generally fail in one area or another. I'm not super-human and I regularly feel as though I'm playing catch-up, or having to reshuffle priorities. Also, my day - just like yours - is never typical. So, bearing that in mind, here is a rough idea of what my days look like on one of the three days a week that my children are in childcare. 5am: I make a cup of tea and take it into my office (a tiny, windowless room that is actually a converted wine cellar. It is always more cluttered and messier than I'd like it to be). I work on a key writing project, such as course material, book copy, blog posts. At some point during this time my husband usually gets up, showers, and leaves for work. 6.30am: The children get up. I close the computer, we have cuddles, then get breakfast ready. We put on music (the children call it "calm music" and generally it's classical music at this time of morning), and we sit at the table together to eat. I try not to rush this and I try not to have my phone in my hand. We talk about the day ahead. What's on at school or kinder, any reading they've been doing, events that happened the day before (often they are too tired and their heads are too busy to talk in the afternoon, but it all comes out over breakfast). In Scout's case, there are often elaborate discussions about what she will wear for that day. 7am: While the children are still eating and chatting, I make their lunches and pack their lunch boxes, then check they have everything they need packed in their bags (hats, sunscreen, lunches, bottles of water, tissues, readers, library books, signed permission slips, and a change of clothes in case of over-enthusiastic water-play). At this point I often also realise I have forgotten to let the cat out, so I open up the little outdoor room where she sleeps. Honestly, mornings are mostly lovely. Last year they were hectic, but now we are in a rhythm, and most mornings we have fun. Sometimes we change up the "calm music" for something more lively, and take a moment to dance together around the kitchen. (At some time after breakfast, I aim to post an Instagram picture. I choose this time because I find that for me, a lot of my tribe are also online at that time, so we can chat and be engaged. I don't post unless I am relatively confident that I can respond to comments, and comment on other people's posts, during the next half hour. That's why if you follow me on Instagram you'll notice that I've been quiet lately. I don't feel it's fair to post a picture and then walk away, so I haven't been posting all that frequently of late, since mornings have been quite busy). 7.30: The children play or read books while I go upstairs and make the beds, shower and dress, pick out clothes for them to wear, and water the upstairs plants if they need them (it's hot here right now and upstairs is like an oven, so they need watering almost daily). 8am: I get the children dressed, brush their teeth and my teeth, do Scout's hair, and hunt for their shoes (generally at least one of them has lost at least one shoe). We need to be out of the house by 8.20am on two of the three days. On Tuesdays, all of the above still has to happen, but we need to be out of the house by 7.30am at the absolute latest, so imagine everything occurring at double speed. 8.30am: Drop Ralph at kinder, settle him in, then walk Scout to school. 9am: Say goodbye to Scout at school, then walk home, picking up a coffee on the way to bring home, and sometimes checking the PO Box for mail. 9.30am: Finally I sit back down in front of my computer in the little windowless office. There are four core activities I do in my business. I always try to maintain a balance of these four in my week (preferably even in my day) because if I spend too much time on any one of these, or neglect any one of these, my business suffers. 1. COMMUNITY: That means responding to comments and emails from my students; responding to questions on Instagram; replying to other emails; and caring for the Me & Orla community (I am a TA/VA for Sara Tasker) by responding to comments and questions from her students. This is also when I'll work on questions, strategies and responses for the people I mentor on a one-to-one basis. 2. PRODUCTS: To make money in my business, I actually need to be constantly making things that I can sell. 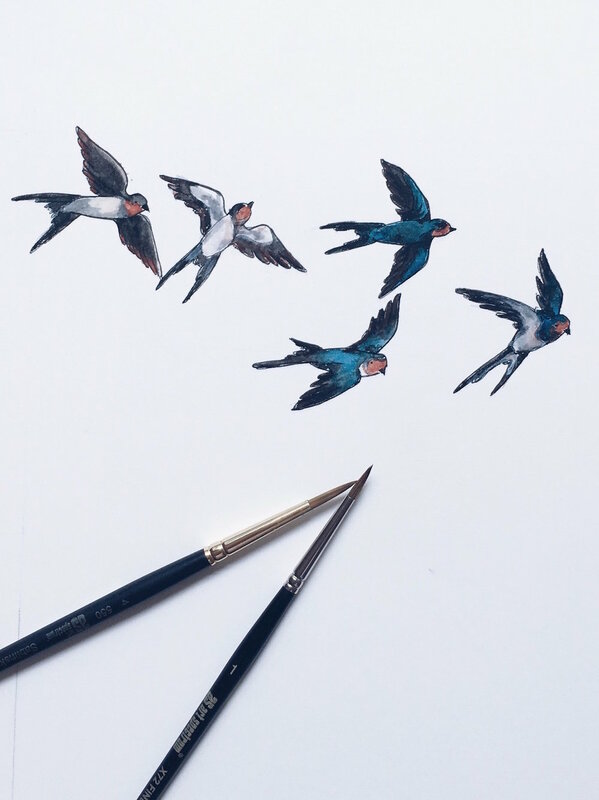 Writing courses, writing books, making colouring books, establishing master-mind groups, painting stationery designs for Boots Paper (I am the in-house illustrator for Boots), writing paid magazine articles, painting privately-commissioned pieces. 3. PROMOTION: By this I mean all the things I do to share my work and my business with my tribe. This blog, updates to my website, my newsletter, Instagram, unpaid magazine articles, magazine and podcast interviews, pitching story ideas to magazines, and guest blog posts. A lot of people have asked me to create video tutorials and this is definitely something I'd love to start doing, but (as you can see) I have a lot to fit into three half-days already, so we'll see! 4. RESEARCH & LEARNING: My business is less than five months old, and I started it without planning or strategy (I wrote about that here), so I have a LOT to learn. I listen to podcasts a lot because I can do that while I'm painting. I research and read material online, I read books, and recent courses I've done include two on Instagram with Sara Tasker, one on Pinterest with Melyssa Griffin, some smaller courses on selling without being sleazy with Jessica Lorimer, and I've joined the Soulful PR community with Janet Murray. I also booked a one-hour coaching call with Jen Carrington that helped give me a lot of clarity. Depending on what is going on on that particular day, I prioritise COMMUNITY first, because I don't want people to wait too long to hear from me. Then the balance of PRODUCTS or PROMOTION will depend on what I have going on. For example right now I'm working on that "Time to Create" course I told you about, so I might prioritise that a little more heavily. When I'm ready to release it, or my book comes out, I'll move more into PROMOTION mode. But to maintain some balance, I try to spread things out. I spent an hour on emails and comments this morning, now I'm writing this blog post. Afterwards, I'll dig back into writing the course. Last week, I spent the bulk of my time painting the artwork for the cover of my book, and the week before that I was editing the copy. Because of all those things, I've fallen behind on the promo side - this blog has been woefully neglected, as has Instagram. So I'll be working on redressing that balance soon. I like to do my painting and drawing work in the afternoon. My brain is getting tired (remember I've been up since 5am! ), so after lunch I'll sit down to paint, while listening to podcasts or audio books, so I can combine my PRODUCTS tasks with my RESEARCH & LEARNING tasks. 3.15pm: I leave home to pick up Scout from school, then we walk back together, just in time to pick up Ralph from kinder. 4.15pm: We all arrive home and the children have some afternoon tea. We sit at the table again, and pull out any homework that Scout might have (she is only five so it's just readers, and school is so new - we started at the beginning of Feb - that she still enjoys them). While the children play, I clean up a bit. Clean the kitchen from meals cooked during the day (my grown-up step-daughter Em is living with us right now so there are several meals going on), empty and wash up lunch boxes, pick up clothes and toys that got scattered about that morning but which I didn't prioritise because I wanted to get straight to work, put on a load of washing, vacuum. Those kinds of things. 5pm: The children have either a bath or a shower. If they shower, I sit in my windowless office which is right next door, and answer any 'community' questions that have popped up since that morning. If they have a bath, upstairs, I use the time to respond to any comments or questions on Instagram while supervising them as they play. Or I fold the laundry. 5.30pm-6pm: Sometime around this point, the children have dinner. It's only light: normally salad with some kind of protein like tuna or ham or egg or cheese, followed by fruit. On school days they are never particularly hungry but are always exhausted so they just want to go to bed. Then we brush teeth, and go upstairs to read stories. 6.30pm-7pm: The children are in bed. I come back downstairs and clean the kitchen again after the children's dinner. Normally this is when I'd start to cook dinner for the grown-ups. Lately though, we've been trying something different. I was finding I'd start cooking this late, so the food wouldn't be ready until 8pm, and often Mr B would then be in meetings or functions and so he wouldn't want to eat at all, and the food would be wasted (plus I'd be exhausted and then have to do even more washing up). Instead, we've started ordering "clean foods" meals from YouFoodz. I can see myself getting sick of them but right now, I like that they are fresh (not frozen), and come in recyclable containers so while not ideal, at least they don't go into landfill. I grab one and either eat it cold, pop it into the microwave, or stir-fry it on the stove-top. I miss cooking, but this certainly saves me at least an hour a night! Once my business gets through this intensive early-growth stage, I look forward to cooking again. 7.30pm: After dinner, I settle in to work. At this time of night I'm not at my best for crafting words or retaining research. Instead, I do most of my painting at this time. If I have PRODUCT work to do (painting for Boots, or a client, or my book etc), I do that. This is also when I create the templates and paint the samples for my newsletters. If I don't have painting to do, I use this time to write letters to people, edit photographs for Instagram, and make mail-art for the joy of it. If I'm painting or editing photographs my brain is mostly free, and Mr B and I like to binge-watch whatever our new favourite show is on Netflix while he signs thousands of letters. I do sometimes laugh at the incongruence of painting a beautiful, peaceful botanical illustration while people slaughter each other on Vikings, but that's just how I roll. 10.30pm-11pm: I do the final round of washing up (a lot less since YouFoodz), feed the cat and lock her up, hang up any wet washing from that load I put on earlier, and generally ready the house for the next day. If things are quiet I go to bed. If I'm busy or on a deadline, I can stay up much later, although I don't think I've worked past 1am more than a few times. After a few late nights, I'll often give up and go to bed earlier - about 9.30pm - to catch up. I have to be up again at 5am the next day, or 6am if I'm tired and need a sleep-in, to do it all again. So... that's what my day looks like three days a week, give or take afternoon kid activities like ballet or karate or French lessons or swimming. On the other two week-days I have Ralph at home with me, so there are no big blocks of working time. I do my early-morning work, then after school drop-off he and I usually go out to the park or somewhere, but he goes down for a little nap after lunch and I work then. I prioritise COMMUNITY during that nap hour and then, if there is still time, I pick from either PRODUCT or PROMOTIONS, depending on what's on that week. After Ralph's nap we pick up Scout from school, and the afternoon progresses in pretty much the same way. On the weekends, I'll still work in the early mornings, and again at night on painting, if we don't have to go out, and occasionally in the afternoons if the children have naps. But mostly, I try to make those days about family time. Because Mr B works such long hours, we prioritise the time that he is home to spend time together. Sometimes that has to involve cleaning the house, but we get out and about as much as we can on at least one of the weekend days. I realise my hours are long, and not particularly sustainable. Please don't think I will be encouraging or expecting others to do the same things when I teach my Time to Create course. I'm at a point in my life where I'm building a brand-new business, and my time is extremely limited, so I'm squeezing every last morsel out of it. I don't intend to do this in the long term, and I don't expect anyone else to do this. What I do love about my busy life right now is that I have, by trial and error, managed to block out specific times for specific things. For example, I'm not working while supervising the kids. I used to do that and I felt doubly guilty: guilty that I wasn't paying proper attention to my children, and guilty that I wasn't paying proper attention to my work. I don't look at social media while I'm with the kids (except when supervising bath times), nor do I answer (many) emails in front of them. I sit at that meal table and we chat, actively listening to one another, and making eye contact. Then when I sit down at my desk to work, I'm all about the work. My phone is on silent and often in a different room. It's not perfect, but as someone who has freelanced for the better part of 15 years, I feel like I'm finally getting into some kind of workable rhythm, even while having small children around. How about you? I'd love to know how you balance your work / family / fun time. Whenever I discover a leaf skeleton in the garden it feels like a little piece of magic. Rare good luck, like finding a four leaf clover or seeing a double rainbow. The circumstances for nature to create a leaf skeleton have to be just right: damp enough for the fleshy parts of the leaf to decompose, sheltered enough (probably under other leaves) to encourage microscopic organisms to eat away at those leaves, and somehow exposed at just the right time for me to find the leaf while all those lovely veins are still in place, before it breaks or blows away. I love to send leaf skeletons as gifts in my mail. They are something special, precious, a memento from my garden or a walk I've taken that is tinted with enchantment. But because they are so hard to find, I wanted to learn how to help nature along, and make my own leaf skeletons. Turns out there are several ways to do it, following processes that range from a couple of hours to a couple of weeks, and using everything from water and pantry ingredients to caustic substances requiring rubber gloves and goggles, and straight-up bleach. I have tried three of the non-toxic methods, and am here to share them with you today. How you choose to make your leaf skeletons will depend on the time you have available, the materials you have in the cupboard, and how willing you are to work with potentially caustic substances. Here are the pros and cons of the three methods I'm sharing today. If you click on any of the methods below, you'll jump straight to the relevant instructions. Take a shallow dish (like a baking dish) and fill it with water. The dish should be ceramic or glass, not metal (I don't know why. Maybe it's to avoid rust, or has something to do with the minerals or chemicals in metal?). Place the leaves in the dish (it's ok if they're on top of each other) and weigh them down with something heavy to ensure they stay covered with water. Leave the water to sit for between three and four weeks. It will get murky, and start to smell really bad (like a vase when you've left cut flowers in it for too long). Take one leaf out of the murky water, place it on a flat surface, and gently try to brush away the gunk and membrane from the leaf. Use an old toothbrush (softly), or a paint brush if you're worried the toothbrush will break the leaf. If it's too tough, put the leaf back into the water and give it a few more days to soak. Rinse the leaf in clean water. If necessary, continue brushing away any remaining pieces of the pulp while it's in the water. Once you're done, lay it on a paper towel to dry. Dissolve equal parts bicarbonate soda and baking powder in a saucepan of water. I used one tablespoon of each, and approximately a litre of water. Place your leaves into the pot, and bring it to the boil. Reduce to a simmer, stirring it gently from time to time. The water will froth up, and will get brown and murky. Watch the leaves until they have softened, and you think they are ready to clean away. This could take several hours (I was using hardenbergia leaves and it took about an hour and a half). If necessary, top up the water from time to time to ensure they leaves remain covered. Take the leaves out of the saucepan and place them into a shallow tray of clean water. Using and old toothbrush, gently try to brush away the gunk and membrane from one leaf at a time. If the leaf is too fragile, use a paint brush instead of a toothbrush. Once you're done, lay the leaf on a paper towel to dry. Note: washing soda is not the same as baking soda. Washing soda is sodium carbonate: it's a powerful cleaner and non-toxic, but is highly caustic and definitely not edible. Wear gloves and goggles while working with it, and try not to inhale any dust that might float up when you stir. In a saucepan, dissolve 3/4 cup of washing soda in about one litre of water. Watch the leaves until they have softened, and you think they are ready to clean away. This could take several hours (for some reason the camellia leaves I was using took forever - like about six hours - but general consensus on the Internet is up to two hours). If necessary, top up the water from time to time to ensure they leaves remain covered. If you can't find washing soda at the shops, try this easy at-home process. Pre-heat your oven to 200C (400F). Spread two cups of baking soda evenly on a large baking tray, and place it in the hot oven for about half an hour. You'll know the transformation has happened when you look at the powder: washing soda is more grainy and dull than baking soda, and when you stir things around (not with you fingers!) you'll see it doesn't clump together. If you're not sure, grab some baking soda and put the two side by side, to see if they look different. Leave cleaned leaf skeletons in a warm, sheltered place to dry for approximately one hour. Once you are sure the leaf is completely dry, place it between two paper towels and store it under a heavy book until you are ready to use it. I prefer to leave the leaf skeletons their natural colour, but you can absolutely play with other decorative ideas if you wish. After all the pulp has been removed but before you dry and press the leaf skeleton, you could place it in bleach to whiten it, or in food colouring. Alternatively, once dried and pressed, you could carefully paint the leaf skeleton (metallics look really great!). That's it! If you decide to make these, let me know how you go. I'd love to see how they turned out, and learn what you think of the process. A few months back I announced that I had started illustrating for ethical stationery company Boots Paper. We have been steadily adding more greeting card designs to the collection, and there are many other new products in the wings, but the designs that have me the most excited right now are a series of stickers. I have been painting these for months, and they're finally here, printed onto clear plastic so they kind of work like decals on just about anything. Here are nine ways I've been using my stickers lately, to brighten up my everyday jobs. There are even stickers decorating my Macbook right now, though I haven't taken a photograph of them. That was five-year-old Scout's idea, but I do think it's kind of cute. How about you? I'd love to know if you have any ideas! Last month was pretty much the busiest month I've experienced in my life. I was so busy, I was getting up at five and going to bed at one, or two, or three, every night. Day after day, night after night, I worked, and rubbed my stinging eyes, and coughed up dust from the renovations that were also going on around me. Mr B start a new job so he also was ridiculously busy. We barely saw each other except to sigh and to say "This life is crazy!" as we passed each other, bleary-eyed, in hallways at dark hours when ordinary people should be sleeping. The house became filthy. I can't even begin to tell you how filthy. And, not even remotely surprisingly, I caught a cold that I couldn't shake. When the symptoms just wouldn't let up, and I was denied the best remedy of all (sleep!) I put out the word on Instagram to see what other people recommended when it came to natural remedies for sore throats, stuffy noses, sinus headaches and general funkiness. The advice was so helpful (I'm all better now! ), and entirely achievable with a handful of ingredients from the pantry, that I thought I'd share some of the remedies with you, and painted some little illustrations to show them some love. There is nothing toxic in here, and no brand names, just nature's own cold-busters and immunity-boosters. @michellecrawford suggested a Turmeric Tonic by Meghan Telpner: juice together ¼ cup of fresh ginger root, ¼ cup fresh turmeric root, one peeled orange, and one peeled lemon. Mix 30ml (1oz) of this mixture together with a cup of hot water. (Keep the rest for later). Stir in raw honey, ghee or coconut oil, and sip. Repeat every two hours. @plantivorousrex said sopa de ajo (Spanish garlic soup) was the way to go for a cold-fighting meal. I found this recipe on SBS. @plantivorousrex also recommended making an onion poultice to relieve congestion. I found this recipe from Sarah on The Healthy Home Economist: Chop and lightly saute two onions and in a splash of water. The onions should be lightly cooked, but not browned or caramelised. If you want to, add in ¼ cup of grated ginger. Carefully drain the onions (and optional ginger), and spread them out in the middle of a tea-towel. Fold the long sides of the tea-towel over the onions, then fold the ends over that (wrapping it "burrito style," Sarah calls this). @beekeep.visitingwildflowers suggested mixing ginger, lemon and honey with a pinch of cayenne pepper. I'm not sure from there how it should be taken, either down in one gulp, or stirred into a hot water drink. Your thoughts? @onething_atatime shared her family's traditional recipe for a cold tonic. "My mum is Sri Lankan... this tonic was from her grandfather and best when drunk at that first tickle in the throat," she advised. Into a dry pan put 1 teaspoon of coriander seeds, three cloves, and a one-inch piece of fresh ginger. Roast them over medium heat until the oils begin to release and the spices become fragrant, but do not burn. Now add another one-inch piece of ginger, this time finely sliced, and about 300 millilitres (just over one cup) of water, and boil vigorously for a minute or two. Strain the tonic into a cup, and add honey to taste. If you make a double batch you can top up the spices with boiling water and let them steep for the next time you need them, refreshing each batch about four times with water. The steam vapours are also good for clearing out the nose. @nadaelfaham recommended this practise for a sore throat: squeeze a lemon onto a tablespoon of honey without water. Do not swallow it right away, but try to keep it still for two seconds on your throat to make a fine coating. @nadaelfahm also suggested a ginger-lemon infusion - let it cool before adding honey. How about you? What is your go-to natural remedy for colds? I have a couple of announcements to make today, the first of which is that I have a brand new website! The web address is the same - www.naomiloves.com - but what you'll find inside it is quite changed. I really hope you like it. I feel like it better represents who I am and what I love. The only problem is that I may well have lost all of my readers along the way. You see, this new website wasn't supposed to go live for another two weeks, during which time I was supposed to be able to figure out how to update things so that anyone who subscribed to this blog, or followed it via an RSS feed-reader, would still be able to read it without making any changes. Or, if I failed to sort that out, I'd at least be able to advise people of the new system before the changes were made. But these things don't always go to plan and I didn't get to make the updates I had hoped for, or let anyone know what was going on. The site went live yesterday, ready or not, so here we all are. And I am writing to you today, dear friends, while wondering if you are out there at all. * If you click on the "Mail hub" link in the website menu, you'll find a collection of all the different snail-mail projects and resources I have going on right now, which makes it a really-fun area to be if you like that sort of thing! This is one of the most exciting announcements I've been able to make in a very long time. Earlier this year, I received an email from the owner of my favourite paper company, Boots Paper (I wrote about them here), inviting me to design my own stationery! I sat there at my computer, reading that little message from one of the most beautiful, high-quality, ethically-produced stationery companies going around, inviting me to put my own stamp on their products, and had to pinch myself. I decided to play it cool and act like this was the kind of invitation I received every day, as opposed to what it actually was: a dream come true. Moments later I utterly lost my cool and immediately hit reply with a resounding YES. I think I might even have written "This is a dream come true." The original brief was to create two different notebook designs, the type that I would love to use myself if I was to sit and write a lively, personal letter (or write a lively, personal shopping list, for that matter). I got straight to work, and sent in those paintings, and then we started on some more. 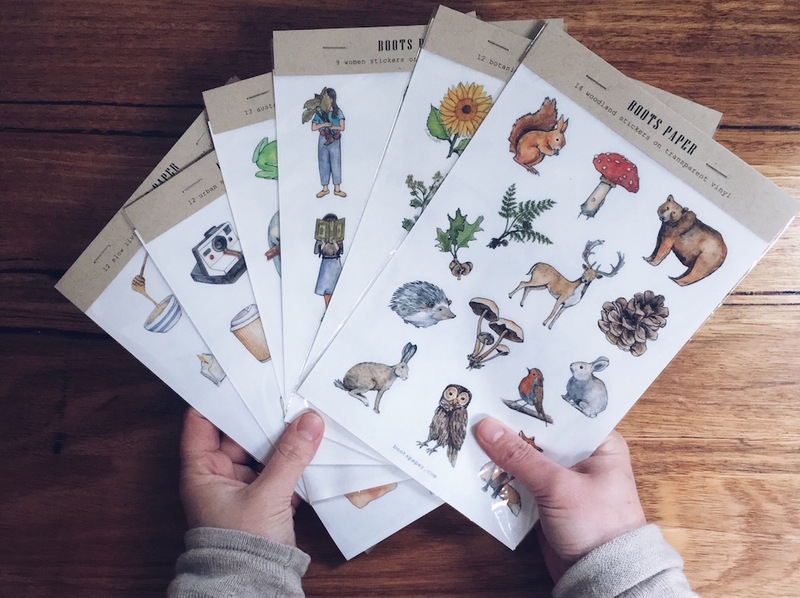 Swing tags, stickers, greeting cards, postcards, envelopes and more; featuring animals, botanicals, people, retro hobbies, food and hygge. And so much more. And today I am proud (SO PROUD) to announce that the very first of my designs are now available for sale on the Boots Paper online shop, as well as in Boots stockists all over the country. They are the greeting cards you see in this blog post: hand-drawn and then painted by me in watercolour, gouache and ink; printed on 100 percent recycled paper; with matching envelopes that have been printed on the inside; all hand-assembled in Gippsland, Victoria. ps. If you like these or any of the other Boots Paper designs, they ship anywhere in the world, and everything is hand-packaged beautifully. Just take a look at this package sent to me on a recent order! Leave a little note for the lovely owner, Brenner, to tell her I said hi. I've had an idea. Shall we write a book together? A recipe book? Often I tell people that one of the nicest, easiest (and completely free-of-charge) gifts to enclose with a letter is a recipe. All you need to do is write or type it out neatly, fold it up, and there is something personal, thoughtful, and useful for your pen-friend. Over the years, I have received some wonderful recipes in the mail, from family, friends, and strangers alike. First, I was thinking I might like to turn them all into a little "meals by mail" recipe book to share with you. 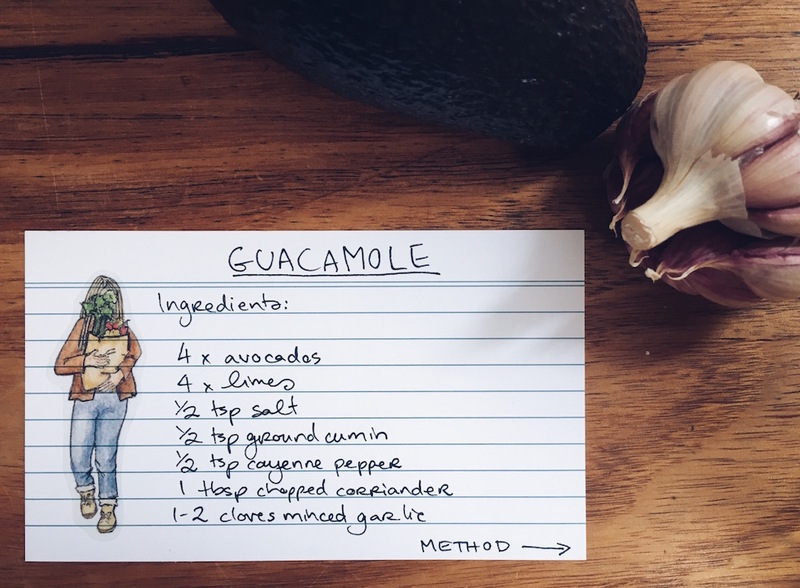 But then I had a better idea: what if we were to share all of our recipes with each other? So that this project doesn't drag on forever, let's say your letter needs to be postmarked by 1 July, 2017, to be included. 2. 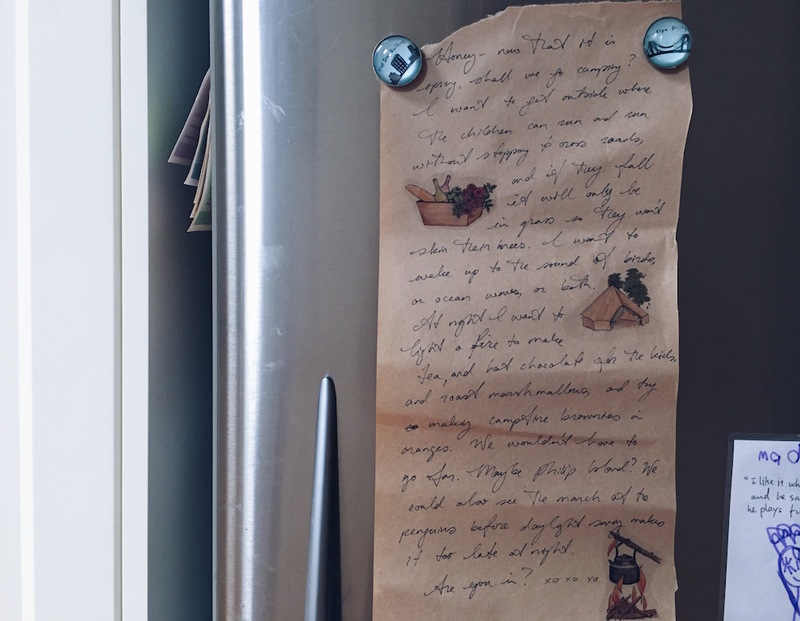 In the letter, you will need to enclose two things: a) a recipe that you love (write it, type it, illustrate it if you like! anything as long as you like the recipe and it's legible); and b) some words telling me what makes your recipe special. They could be a sentence or an essay, or anything in between. Maybe the recipe was given to you by someone you love, maybe it is part of a family tradition, maybe you cooked it for a memorable occasion, maybe it's simply something that is always popular with your friends or family... just share with us the special meaning behind the recipe. 3. It's not at all required that you decorate your envelope or include anything else, but of course you are welcome to do so and, if appropriate, I'll try and feature some of the more decorative envelopes etc in the book for inspiration. 4. Maybe I'm the only one who thinks this is a good idea (Oh! Lonely me!) BUT if I receive enough recipes, I promise to turn them into a recipe-book or zine (how many recipes do you think I'll need for a book? 20? 30? More? ), celebrating the recipes, the letters, and the wonderful way that food links us to people we love and memories we treasure. Plus, I promise to send a free copy of the book or zine to every contributor. Are you in? Let's do this, to celebrate food, nostalgia, hand-written communications and community all in one go. Then we can stir, sizzle, mix and bake each other's recipes, and weave them into our own stories. And I would really appreciate it if you could tell your friends, because maybe they want to share their recipes, too! ps. These recipes, from top, are from my great-grandmother (via my mother), Ashwatta (via Ashwatta's Art on Etsy), and Meaghan (via @polaroids_and_snailmail).